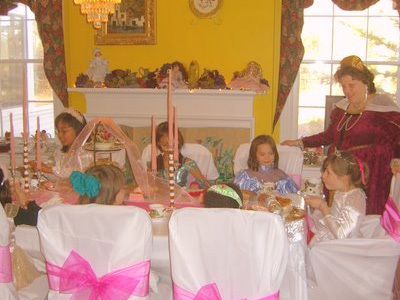 The Princess Tea Party is one of the most popular birthday parties! All little girls love this one. 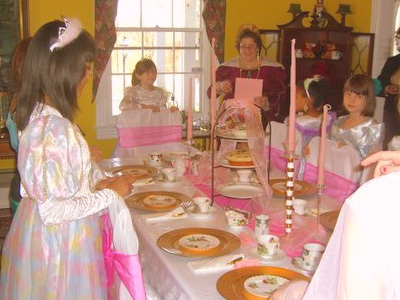 This Tea features dress up in princess dresses and crowns and fashion show. Tea and refreshments are served by the Queen of Old Oaks. 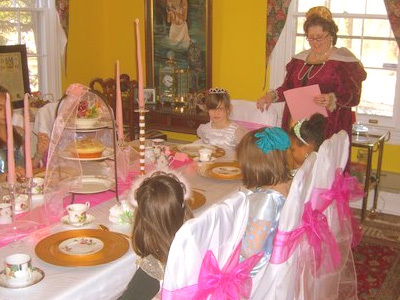 After tea, everyone will enter the ball room for dancing and Karaoke until the clock strikes the witching hour to change back to street clothes and leave. 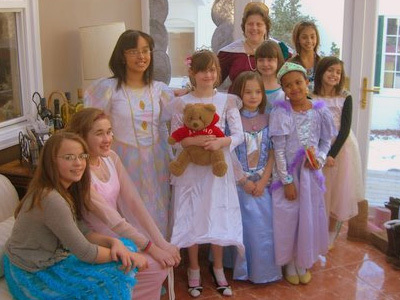 The birthday princess and her ladies in waiting will than receive a special good-bye gift from the Queen.